Due to unforeseen circumstances this show has been rescheduled for Fri May 10th @ 8pm. 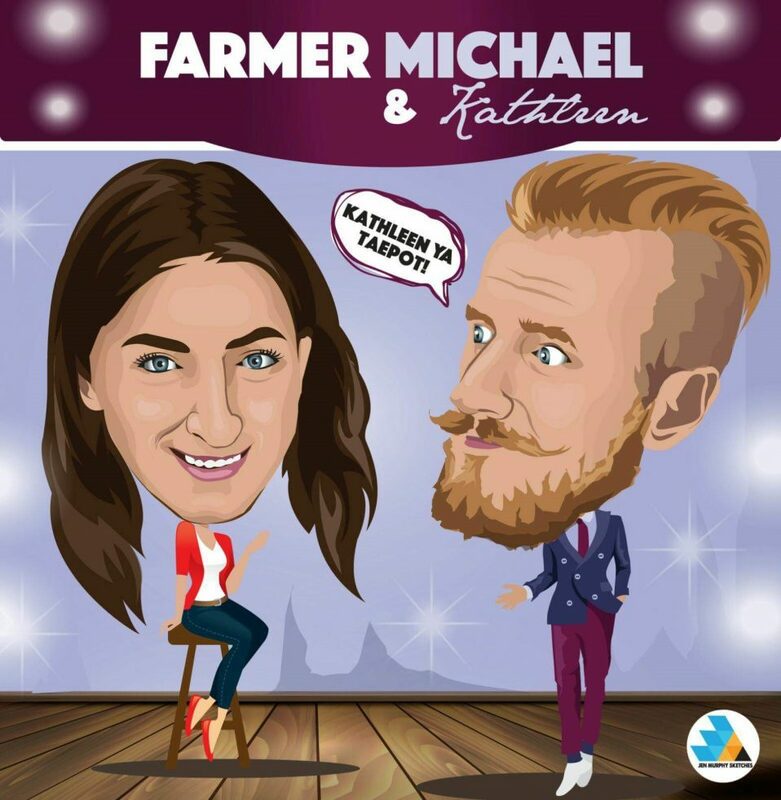 Enjoy a culchie night out with Farmer Michael & his long-suffering wife Kathleen as they discuss all well-known world topics – from Donald Trump, to Caitlyn Jenner, Leo Varadkar to Lady GaGa, and a couple of their well-known cover songs too. After only 2 years on the comedy scene, Stevo & Sinéad have gathered a following of over 280,000 people worldwide, sold out shows all over Ireland & the UK, headlined their own Vicar Street show, and have had over 20 million views on some of their sketches. The King & Queen of farming satire may offend some but aren’t planning on quitting any time soon!